Stories of hunger are often untold or hidden. There could be people who are food insecure in your neighborhood. If an unfortunate chain of events happened, it could even happen to you. That's the message advocacy group MAZON tries to get across as it raises awareness for hunger, traveling across the United States. MAZON brought its interactive exhibit on wheels called, "This is Hunger," to Overland Park to change stereotypes and show the face of hunger. It is stationed at Congregation Beth Shalom at 142nd and Lamar in Overland Park. The exhibit is free and is here until Thursday, July 13, and it brings people face-to-face with the bleak reality of hunger. That's something 42.2 million Americans know all too well. When you walk into the trailer, you will see and hear some of their stories. There's also a community table you can sit at were glowing plates vanish one by one. People share stories like the only time they get fruits and vegetables are if they're canned. "Now, not being able to feed myself the way I would like to, I cook to fill me up. Not so much as healthy," explained one voice in the exhibit. 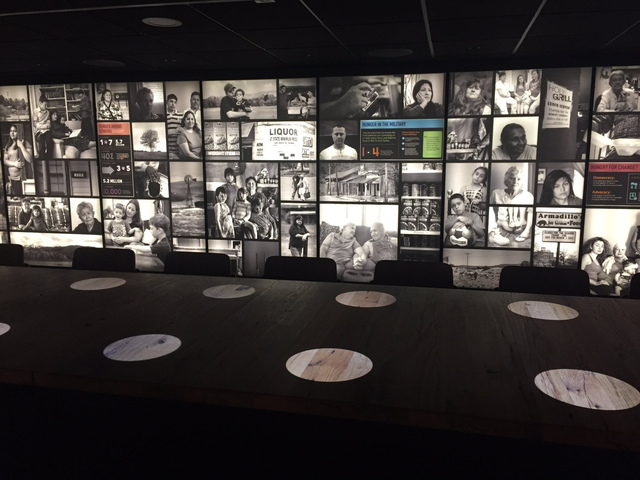 MAZON brings the exhibit to 30 cities, focusing on things such as changing the stigma of hunger and raising awareness. "Seniors don't take advantage of their food stamp benefits because they think that there's a stigma that’s attached to receiving those benefits. Part of raising the awareness and educating through the stories that we’re telling from ‘This is Hunger’ is to remove that stigma," said Samuel Chu, MAZON National Synagogue organizer. Partners in this collaboration are Jewish Family Services, Episcopal Community Services and Congregations Beth Shalom. Tours are 45 minutes and you can reserve tickets at http://thisishunger.org/.